Jarol Rambler Baby Aran Yarn. 10 x 100g Balls Of Top Quality Aran Yarn. Estimated Delivery Times On These Products Is Between 3-7 Days. Minimum Spend Of 150 Pounds GBP On Yarn Products. Jarol Rambler Baby Aran 10 x 100g Balls. Baby Blue. 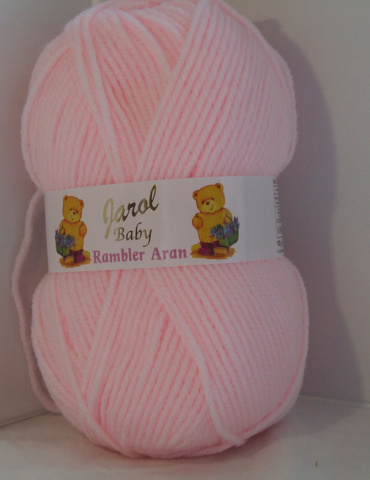 Jarol Rambler Baby Aran 10 x 100g Balls. Baby Pink. Jarol Rambler Baby Aran 10 x 100g Balls. Beige. Jarol Rambler Baby Aran 10 x 100g Balls. Cherry. Jarol Rambler Baby Aran 10 x 100g Balls. Cream. 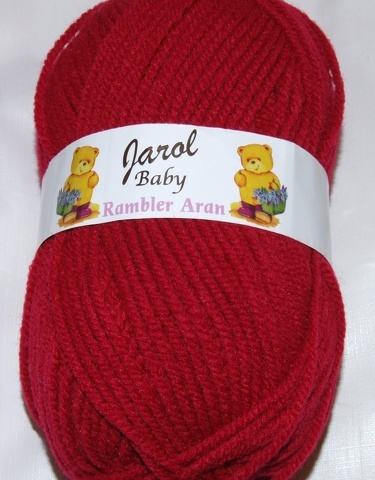 Jarol Rambler Baby Aran 10 x 100g Balls. Denim. Jarol Rambler Baby Aran 10 x 100g Balls. Lemon. Jarol Rambler Baby Aran 10 x 100g Balls. Lilac. Jarol Rambler Baby Aran 10 x 100g Balls. Mint. Jarol Rambler Baby Aran 10 x 100g Balls. Silver.